The private estate "Hutsulske Rendezvous" is located 300 m from the center of the village of Iltsi, near the village of Verkhovyna. 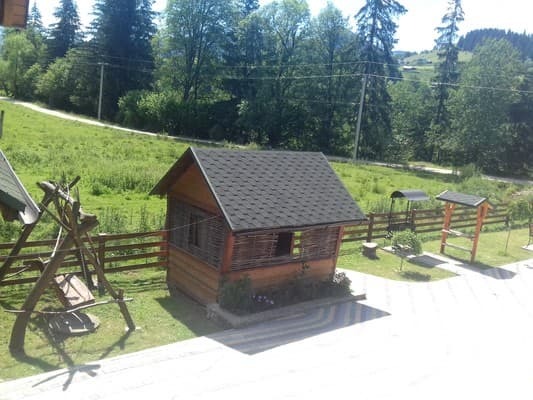 The farmstead is a two-storey wooden cottage with a capacity of up to eleven people. On the ground floor there is a living room with a fireplace, a kitchen, a dining room and a separate bathroom. On the second floor there is a terrace with a rocking chair, three triple rooms and one double room and a bathroom. Free Wi - Fi is available throughout the property for comfortable accommodation. 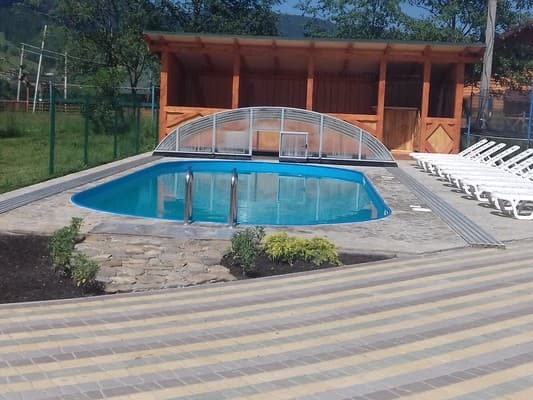 On the territory of the manor, guests have access to a brazier, a gazebo, a playground, a trampoline and in the summer a swimming pool. For lovers of outdoor activities, you can go horseback riding, pick berries or mushrooms and go to the mountains. Near the cottage there is ski equipment rental. Also, on the territory of the estate there is a free car park. Shuttle service is available at an additional cost. 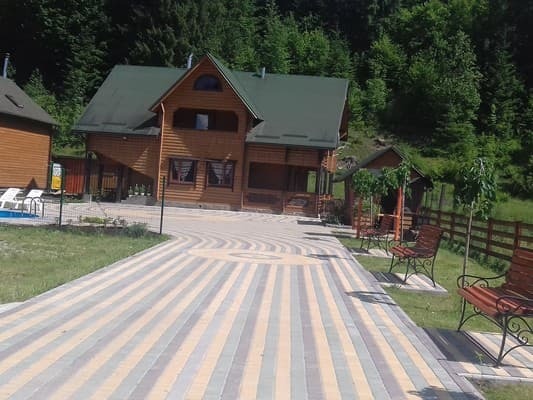 The private estate "Gutsulske Rendezvous" is located 300 m from the center of the village of Iltsy. The nearest store is 600 m away. The distance to the nearest ski lift is 150 m, to Verkhovyna 5.9 km, to Tatariv 35 km. PRICES MAY CHANGE, YOU NEED TO UPDATE THE OPERATOR'S INFORMATION! 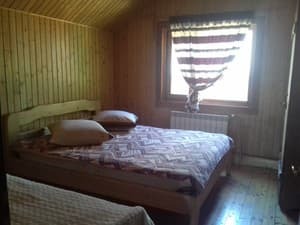 Description of the room: Two-storey wooden cottage for four rooms, up to eleven people. On the ground floor there is a living room with a fireplace, a dining room, a fully equipped kitchen and a separate bathroom. The living room is furnished with a sofa, an armchair, a table and a wardrobe. The dining room is equipped with a TV and a dining table with chairs. On the second floor there is a terrace with a rocking chair, three triple rooms and one double room, a separate bathroom. Each room is equipped with a bed, a wardrobe and a TV, some have access to the balcony. 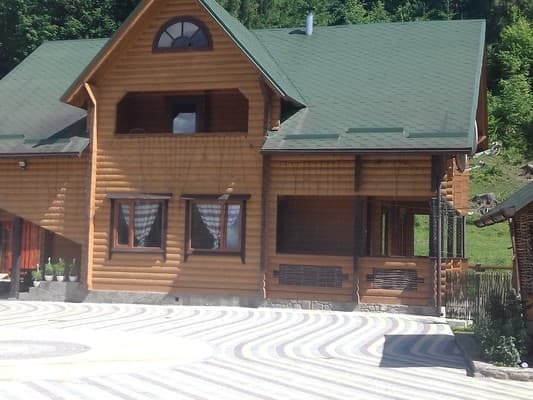 In the private estate "Hutsulska Rendezvous" there is a fully equipped kitchen. 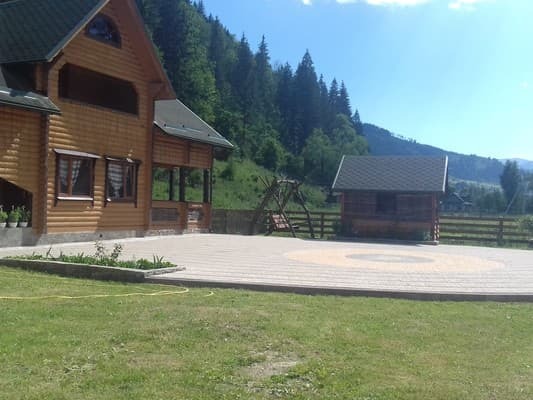 The private estate "Gutsulske Rendezvous" is located 300 m from the center of the village of Iltsy. The nearest shop is 600 m away. Verkhovyna is 5.9 km away, and Tatariv 35 km. The distance to the nearest ski lift is 150 m.
By public transport: to the village of Verkhovyna by bus or shuttle bus from Ivano-Frankivsk, get off in the village. Iltsy near the direction of the road in the village. Golden eagle. By car: the N-09 highway through Ivano-Frankivsk to Tatarov. In with. Tatarov turn on the sign on Kosiv (route P-24), in with. Iltsy turn around the direction sign of the road in the village. Golden eagle.